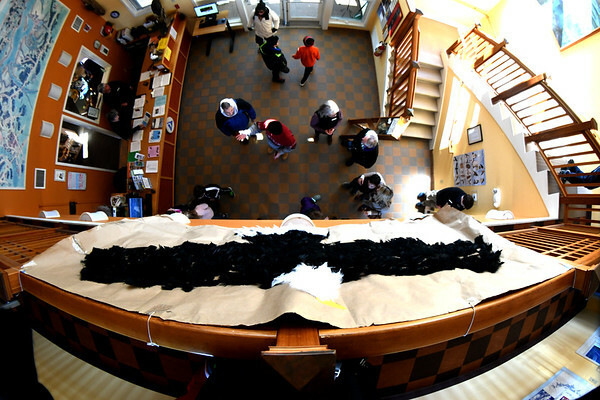 JIM VAIKNORAS/Staff photo An eagle display greets people as they enter the Joppa Flats Education Center for the Eagle Festival Saturday. The annual event featured live bird show, crafts, and guided eagle viewing, at multiple locations. Camp Director Kristen Lindquist made the display.